"It’s great to have two live chances in a Grade 1 at Aintree. We are never afraid to run our own horses against each other, as so much can go wrong in a race that it is never any harm to have more than one representative. 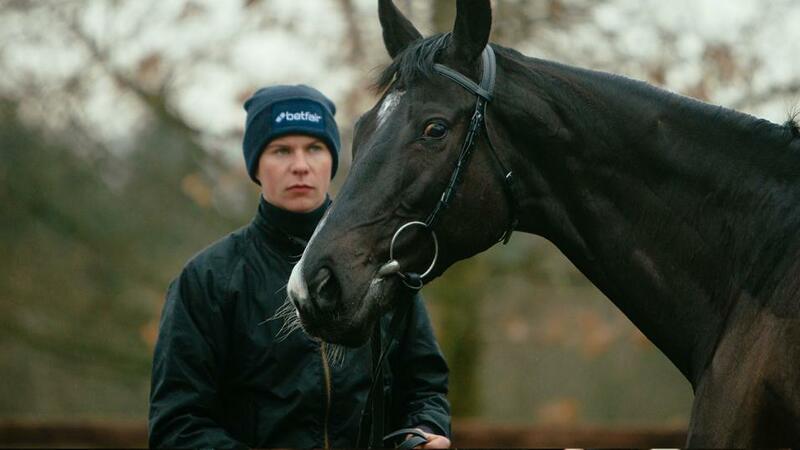 Hopefully both of them will run their races and I’ll be delighted if either of them win." We were delighted with Band Of Outlaws at the Cheltenham Festival. He had taken really strong steps forward with each of his runs over hurdles leading up to it, but the doubt we had was whether a horse that had shown as much pace as he had on the Flat would cope with the stamina test that Cheltenham presents. As it turned out, it proved to be no issue at all. JJ gave him a lovely confident ride and despite being the meat in a sandwich approaching the final flight, he quickly re-gathered himself and was very strong up the run-in. While he clearly stays well, we have always thought that a more speed-focused track like Aintree would suit him well. This represents a big step up in class from handicap company into a Grade 1 to take on the Triumph Hurdle winner, but we hope he will prove up to it. He has been in great form since Cheltenham and any rain that falls won't be an inconvenience to him. Fakir D'Oudairies had three different options at Aintree and we decided to put him back into juvenile company to take his chance here. He surprised us with just how impressive he was when winning a Grade 2 juvenile at Cheltenham in January and that encouraged us to let him take on his elders in the Supreme Novices' Hurdle. He ran well to finish fourth there, but the race didn't pan out ideally as he was shuffled back through the field at a vital stage. We hope he will show that he is better than that bare form suggests and here would be a great place for him to do it. He came out of Cheltenham very well and any rain that falls will be a help to him. It's great to have two live chances in a Grade 1 at Aintree. We are never afraid to run our own horses against each other, as so much can go wrong in a race that it is never any harm to have more than one representative. Hopefully both of them will run their races and I'll be delighted if either of them win.